Sony’s New 4K HDR Home Cinema Projectors Certainly Brings The Most ‘True To Reality’ Images To Its Customers. Sony has just introduced three (3) new home cinema projectors - VPL-VW260ES, VPL-VW360ES, and VPL-VW760ES - that promises to delivers a truly immersive 4K HDR viewing experience. 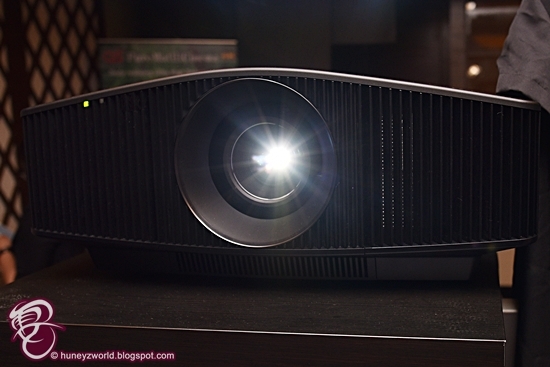 If you are one of those Huneybees who is after spectacular, true-to-life images home cinema experience, the new home cinema projectors by Sony is definitely going to amaze you! All these models deliver high contrast, detail-packed images thanks to Sony's cutting edge native SXRD (Silicon X-tal Reflective Display) panel. Fyi, SXRD is Sony's propriety Liquid Crystal On Screen (LCOS) video projection technology, which offers much higher contrast ratio than the Digital Light Processing (DLP) video technology offered by its competitors, as well as today's LCD and even Prisma TV displays found in our homes! What's more, viewers can enjoy any kind of High-dynamic-range imaging (HDR) content, including HLG (Hybrid Log-Gamma) for broadcast and online content shows, in addition to HDR10 that is the standard HDR format for UHD. The VPL-VW760ES premium laser light source projector in compact design*¹ reproduces stunning 4K HDR images. The versatile VPL-VW360ES with adjustable function of image quality is suited for various types of viewing contents. The VPL-VW260ES delivers immersive and authentic 4K HDR images with high cost performance. *¹It measures 496mm in depth which is 40% smaller than current laser light source model, VPL-VW5000ES. All three (3) feature-packed 4K HDR projectors, from the cost-effective VPL-VW260ES to the premium VPL-VW760ES, have breathtakingly-real picture quality, thanks to Sony's commitment to brings the most ‘true to reality’ images to its customers. Colour Up Your Life Today With LIBER From AVITA!